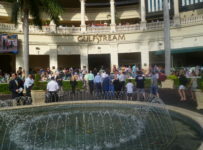 At Gulfstream Park, the record handle numbers keep on coming and field sizes continue to be significantly higher than the recent averages for U.S. thoroughbred tracks. Our review of Equibase Co. charts shows that Gulfstream’s daily average all-sources handle for its 2015-2016 championship meet is up 16.5 percent thus far. That average was $7.54 million through Wednesday Jan. 6, compared with $6.47 million for the similar period in its 2014-2015 meet. 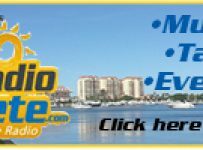 Research by HorseracingFLA.com also shows that average daily all-sources handle (total handle) for all of Gulfstream’s live races rose 7.1 percent in 2015–to $5.60 million compared with $5.23 million in 2014. 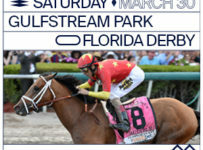 Those numbers include the Gulfstream Park West meets, held at Calder Casino & Race Course. Gulfstream does not routinely provide breakdowns on live handle and off-site handle. 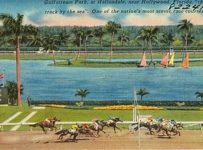 It does not estimate attendance for the races at its track in Hallandale Beach or for its races at Calder in Miami Gardens. The average field size for the championship meet has slipped slightly meet-to-date from 10.3 horses per race at this point in 2014-2015 to a still impressive 10.1 per race this season. 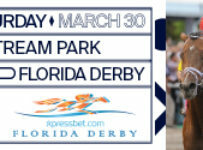 The Gulfstream championship meet numbers for this article are through the first Wednesday in January for each meet, encompassing 23 race days in 2014-2015 and 21 race days in 2015-2016. This season’s 85-day meet began on Dec. 5 and will end on April 3. Gulfstream’s strong start puts it on a pace to break its championship meet record of $8.55 million in daily average all-sources handle (total handle), set in 2012-2013. 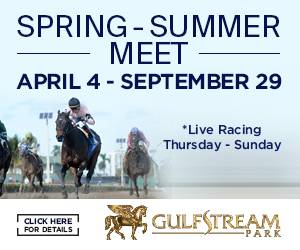 Gulfstream is approaching its traditionally strongest weeks for handle, and we are projecting that it will average about $9 million in daily handle for the current meet. One reason is that, unlike in 2014-2015, its simulcast signal is being taken by the 23 tracks and other locations of the MidAtlantic Cooperative. 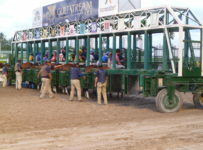 Those locations account for several hundred thousand dollars of handle per day for Gulfstream and several other tracks. Gulfstream has entered 2016 following a series of strong handle and field size numbers in 2015, including several records. Gulfstream’s average of $5.60 million a day in all-sources handle in 2015 was the highest in the three years it has had year-round racing. 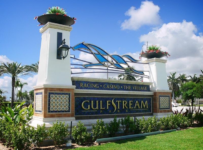 Average field size for Gulfstream’s live races was 8.8 in 2015 and 8.7 in 2014. 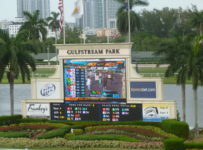 For both years Gulfstream’s live races were the combination of ten months of racing at its track and two months at Calder, where it held its Gulfstream Park West meets. The 2014 and 2015 numbers are based on information released by Gulfstream and HorseracingFLA’s follow-up research of Equibase Co. data. “We’re pleased that our business continues to grow as we build a year-round program in Florida,” P.J. 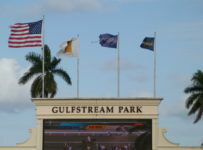 Campo, general manager of Gulfstream Park said on Jan. 1 in a statement concerning Gulfstream’s 2015 numbers. 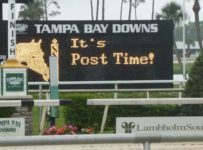 “While our championship season remains one of the top meets in the world, our summer program is gaining in prestige and participation from horsemen throughout North America,” added Campo who also is vice president of racing for The Stronach Group, the Aurora, Ont.-based owner of Gulfstream. Gulfstream’s 2015 numbers for growth in handle and for field sizes were higher than the national averages. Total handle on U.S. thoroughbred races rose 1.2 percent to $10.7 billion in 2015, according to the Thoroughbred Racing Economic Indicators released by Equibase on Jan. 5. The report also showed that the national average field size rose 1.8 percent from 7.71 in 2014 to 7.85 in 2015. All-sources handle is the total of all bets on a track’s races. 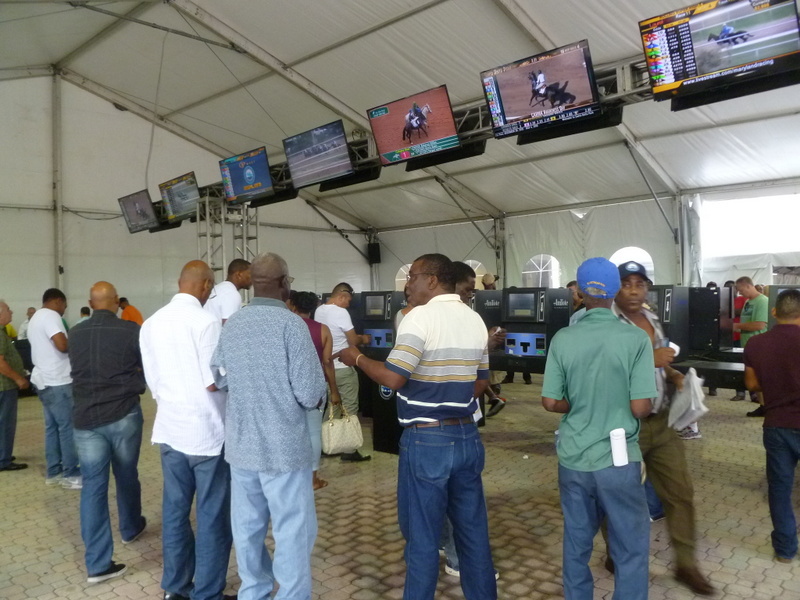 It includes bets made: live on-site; at other tracks and pari-mutuels; at off-track betting locations and simulcast centers; through Internet and phone advanced deposit wagering (ADW) services; and at Nevada sports books. Gulfstream announced Jan. 1 that all-sources handle on its live races (including Gulfstream Park West) was a record $1.338 billion in 2015. 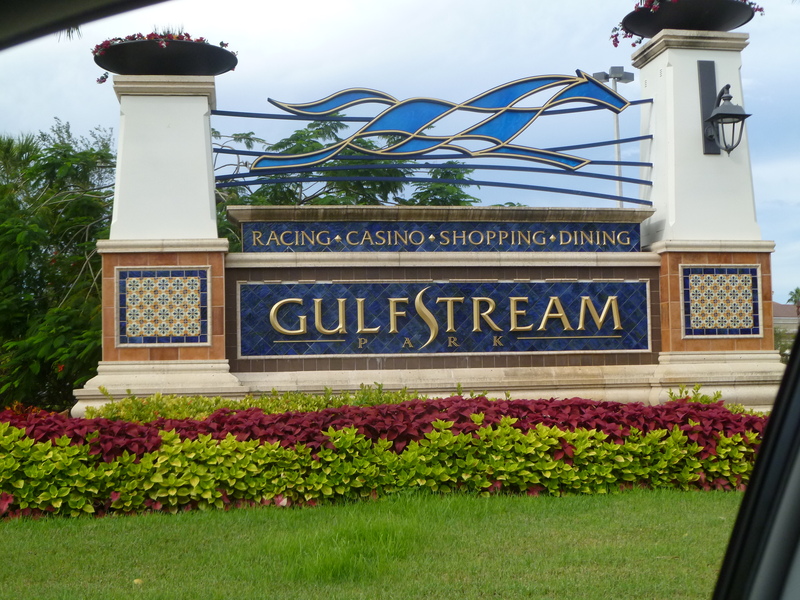 Gulfstream said that represented a 14 percent increase from its previous record handle of $1.174 billion in 2014. Gulfstream’s announcement did not include any daily averages. 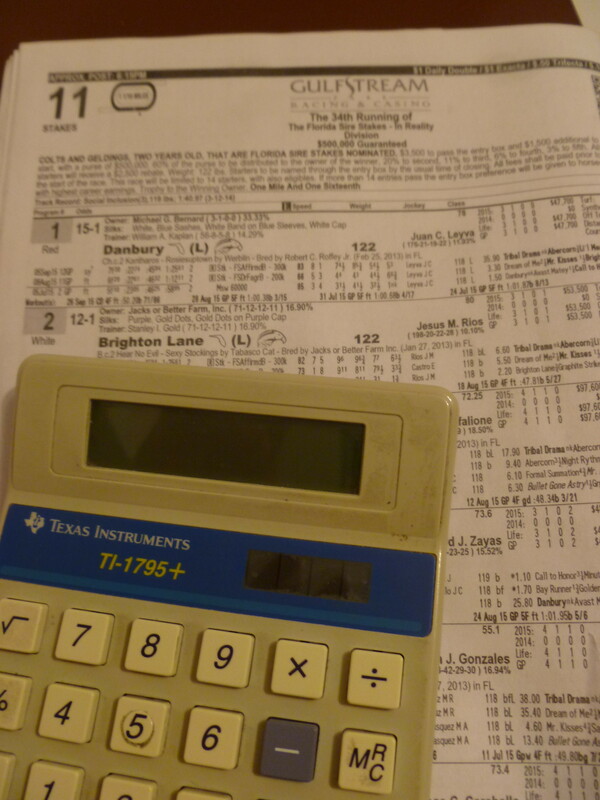 Our review of Equibase data showed a total of 222 Gulfstream race days in 2014 and 239 Gulfstream race days in 2015. Thus, the Gulfstream per-day average handles were $5.60 billion in 2015 and $5.23 million in 2014. For Gulfstream, 2015 can be considered the first full year of a “new normal” in South Florida racing. 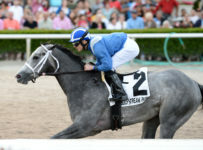 Gulfstream and Calder, just eight miles apart, raced head-to-head on weekends from July 2013 through June 2014 amid a dispute over racing dates. 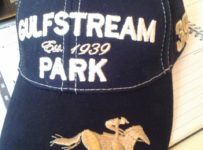 They settled the dispute in June 2014, and Gulfstream has raced unopposed in South Florida since July 1, 2014. The head-to-head racing cut into Gulfstream’s handle and field sizes at amounts that cannot be readily determined. The Gulfstream-Calder agreement extends through 2020, with Gulfstream leasing Calder’s track and racing operations. 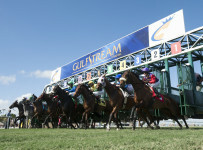 Gulfstream is holding its 40-day Gulfstream Park West meet each October and November. By having 40 days of racing at Calder, that track’s parent company Churchill Downs Inc. of Louisville, Ky., remains eligible to retain ownership of Calder and to continue to operate its casino. Gulfstream’s increase in racing dates in 2015 is attributable partly to not having head-to-head racing with Calder.